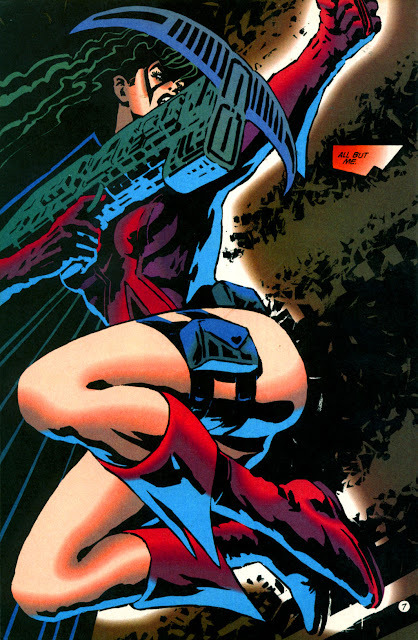 While that crossbow always makes me think of the Marines in Aliens, I love the modern Huntress, Helena Rosa Bertinelli. Daughter of a slain mob boss, it rocked my Gotham to see a vigilante who stood their ground against Batman, let alone one who as a teacher by day, had to deal with the frustrations of seeing her students take to the streets over more promising life-paths. Sure she's changed costumes almost as often as Spider-Man, but I'm glad to see early in the new DC, Huntress getting her due.